This one day workshop will explore how to make the most out of the opportunities social media offers for purpose organisations to tell your story, reach interested and passionate audiences, and engage supporters in action as we build towards effective change. Platforms and purposes — what are the key audiences and content differences between the leading platforms and how can you make the most out of each channel? Planning for success — how can you adopt a strategic approach to social media by choosing the right platforms, planning your objectives and brainstorming compelling content? Sharing our story — how can you use social media to communicate clear messages for change, and what are some of the best examples of how to cut through the noise and encourage engagement in your cause? Creating a community — how can you understand your existing audience, reach new potential supporters, engage supporters in action and manage a growing community? 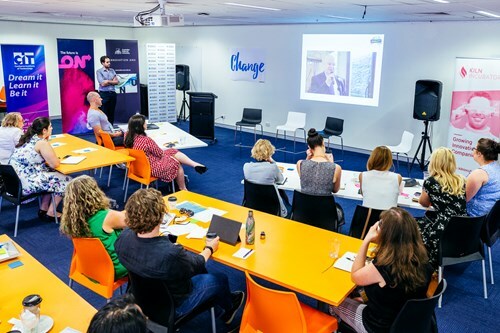 Promoting your change — how can you start to explore the powerful and cost-effective advertising tools social media offers for purpose organisations? Insider tips — take away from the day recommended tools, tricks and resources that will help you maximise impact, plan and schedule content and evaluate success. Together we will cover key fundamentals, participate in practical exercises to help plan and brainstorm content, go through some live demonstrations of tips and tricks, and learn through some inspiring examples — including from the Australian marriage equality campaign. This workshop has been developed for people working in the not-for-profit of for purpose sector. It is for anyone who is looking to expand their knowledge and skills in using social media, working towards a more strategic approach for sharing your story, reaching new audiences and engaging supporters to take action. A professional writer by training, Adam Knobel is an experienced campaign director and digital strategist working in non-profit organisations. Most recently he designed the national digital strategy for Australian Marriage Equality, which built one of the biggest online social movements for change. During that campaign, Adam and his team used social media to build and galvanise a community seeking change, and they harnessed email, websites and other online tools to encourage their growing community to take action and donate in unprecedented numbers. Adam previously managed communication, media and campaign strategies for the National Tertiary Education Union NSW and was responsible for the development and implementation of an online communication strategy for ACON Health. Adam’s passion is empowering others to tell their story as a way of bringing people together to create change. EARLY BIRD TICKET RATES END ON 15 FEBRUARY.